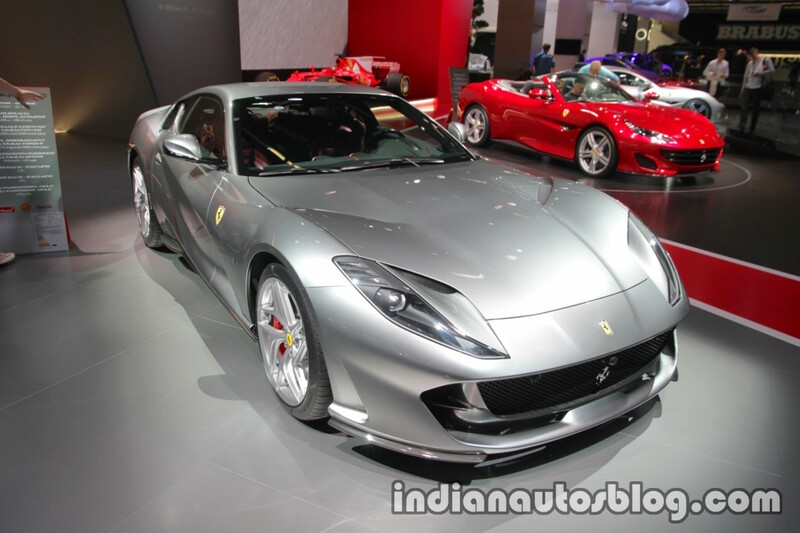 Ferrari has showcased the new 12-cylinder Berlinetta, the Ferrari 812 Superfast at the 2017 Frankfurt Motor Show. Here are the live images of the supercar from the show. The Ferrari 812 Superfast is the most powerful and fastest series production Ferrari in the marque’s history. Full-LED headlights integrated into the design of the sculpted air intakes on the bonnet emphasise the car’s masculinity and wraps around the front wheel arch. There are active flaps at the front of the underbody and the rear flank for aerodynamics. The silhouette of the 812 Superfast has a fastback sleekness with a two-box design and a high tail that’s reminiscent of the legendary Ferrari 365 GTB4 of 1969, aka “Daytona”. Swing the door open and you’ll be invited to the new, sportier and ergonomic seats; alongside the new HMI (Apple’s Siri integration by Harman). It also features new steering wheel and instrument clusters and the latest infotainment and air-conditioning units. A high-end audio system with 12 speakers and a 1,280 Watt amplifier with Quantum Logic is optional. Coming to the heart of the matter, this maniac of a machine from Maranello employs a naturally aspirated 6.5-litre V12 engine. It generates 800 PS of power at 8,500 rpm and 718 Nm of torque at 7,000 rpm. 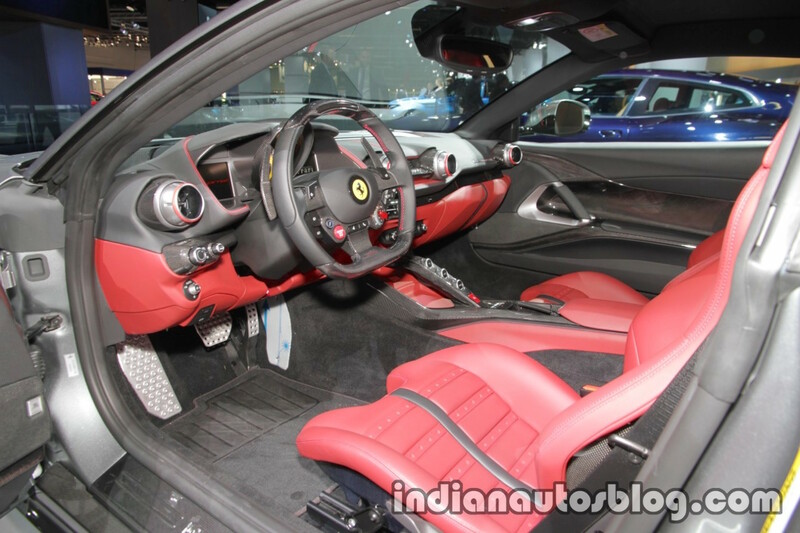 The engine works in tandem with Ferrari’s 7-speed F1 dual-clutch transmission, which has 30% quicker shift times and shorter gear ratios than its predecessor. This combination results in a 0-100 kmph sprint in just 2.9 seconds; and a top speed of 340 kmph. On the safety and handling front, the car comes with an Electric Power Steering (EPS) and Ferrari’s patented Side Slip Control (SSC) version 5.0. Ferrari has blessed the Brembo Extreme Design brakes with the Hi-Performance ABS and 9.1 Premium ESP. The supercar also features Ferrari Peak Performance (FPP) and Ferrari Power Oversteer (FPO). They help in cornering by giving feedback through steering wheel torque.